Can’t wait to share all about @islandsburgers Summer Menu and giveaway a $50 gift card so that you can try out some of their new and yummy menu items! I love Friday nights. 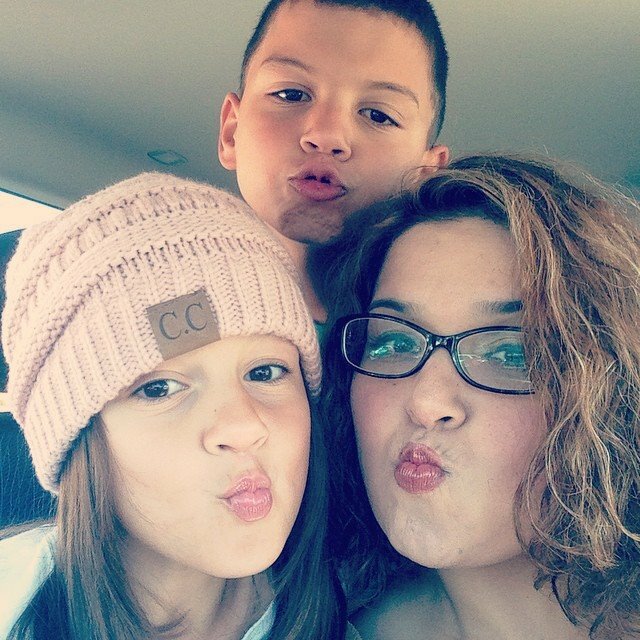 We usually go out to dinner as a family and enjoy sharing about our week. Plus I’m usually way too tired to cook. This past Friday we had the opportunity to check out Islands Restaurants for dinner and also try some our their new Summer time menu! Islands recently introduced new limited time menu items featuring Kalua pulled pork. I tried the Waimea Burger, a classic Islands burger topped with the savory pork, caramelized onions, Swiss cheese and grilled pineapple. It is sooooo delish! We also tried some of the classics like cheese fries, buffalo wings, and of course their out of this world Chocolate Lava dessert. The kids loved the kids menu and ordered burgers, chicken fingers, and of course a lot of french fries. In addition to the new summertime menu items, guests will be able to enjoy Islands’ happy hour deals in the bar area every Monday through Friday from 4 to 7 p.m., with late night happy hour available at select locations. Happy hour favorites include Islands’ famous Mai Tai, Cheddar Fries and Hawaiian Sliders. Along with food and drink specials, each of Islands’ 55 restaurants is giving away a custom beach cruiser this summer – perfect for riding along the boardwalk. Beginning June 21, guests can enter for a chance to win every time they visit an Islands location, and the lucky winners will be selected on September 22. For more information, follow Islands on Twitter and Instagram @IslandsBurgers and like Islands@ www.facebook.com/IslandsRestaurants. It’s giveaway time! We’re giving away a $50 Gift Card to Islands Restaurants. Just leave a comment letting me know who you would take out to lunch or dinner. That’s it! You can also gain additional entries by liking us on FB and Twitter. Winner will be selected at random. Giveaway ends on Friday, June 26th at 11:59pm. Good luck! Disclosure: This is not a compensated post. Dinner and a gift card were provided for review/giveaway purposes. This entry was posted in Islands Restaurants and tagged giveaway, Islands Restaurants. Week 1 of Summer Break is in the books. So far we’ve enjoyed sleeping in, swimming lessons, and a whole lot of spending time together. Next week we’re gearing up for some adventure which includes beach trips, Legoland, museums, and more! One place that we plan on hitting up is the Sawdust Festival in Laguna Beach. This arts and crafts extravaganza runs from Friday, June 26th to August 30th, and is open daily from 10am to 10pm. We go every year and have an incredible time. 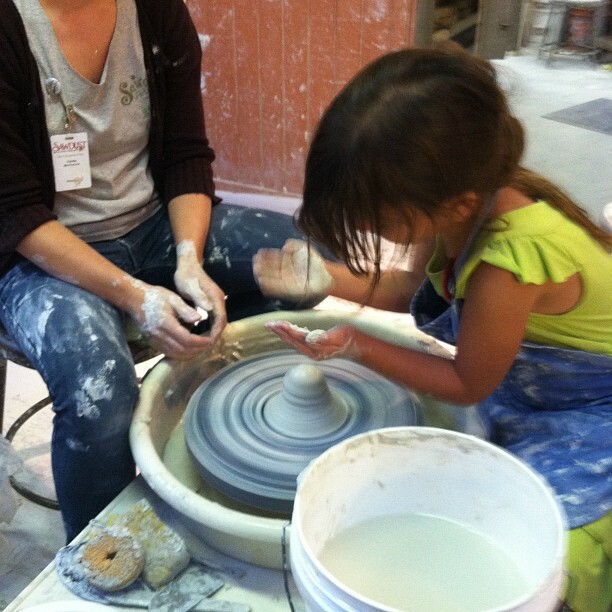 The kiddos look forward to exploring the different booths, trying out the free children’s art spot, and working with a potter’s wheel/ceramics. One on one instruction is free of charge. If you would like to glaze your creation it is $8. There are also a variety of free workshops in Studio 1 for kiddos 7 and up. It’s a great Summer activity. To learn more about the festival or to purchase tickets, head here. This entry was posted in Orange County, Uncategorized and tagged Art festival, art for kids, Laguna Beach Festival, Sawdust Festival, Summer Art. TGIF! We’re so excited that Summer has officially begun for our family. Today was my last day of work and the kids last day of school. We are ready for Summer adventures. One of the first things to do on our to do list is to watch Jurassic World. We are all looking forward to watching the movie. My son is also not just excited to watch the movie, he’s also super excited to be able to play the all new Lego Jurassic World. I can’t blame him. Who doesn’t love Legos and dinosaurs? They’re the perfect combo. LEGO Jurassic World will be available starting today, June 12th on PS4, Xbox One, PS3, Xbox 360, Wii U, 3DS, PSVita and 3DS. You can follow the storylines of Jurassic Park, The Lost World: Jurassic Park, Jurassic Park III, and the highly-anticipated Jurassic World, all in one game – LEGO Jurassic World Game! 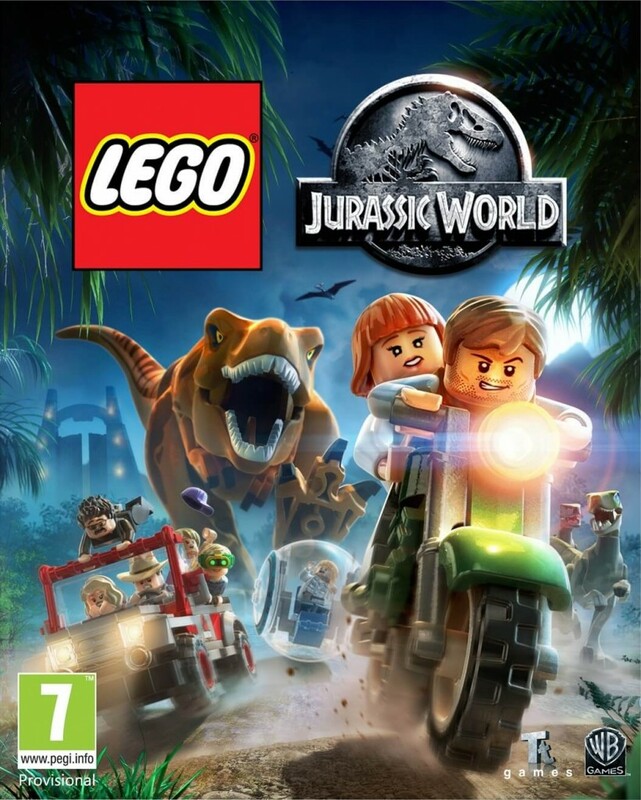 To celebrate the release of Lego Jurassic World, we’re giving away a copy of this game in xbox format. All you have to do is leave a comment letting me know why you would want to win this. That’s it! Winner will be chosen at random. Giveaway ends on June 14th at 11:59pm. Good luck!! This entry was posted in Giveaway and tagged #TeamJurassic.